Looking for an easy baked tofu recipe? Try this low-fat vegetarian and vegan tofu baked with a miso sauce for a healthy, flavorful and unique taste. Baked tofu is an easy side dish or entree, or, use your baked tofu to make vegetarian or vegan sandwiches! Scroll down for more easy tofu recipes and baked tofu recipes to try. Pre-heat oven to broil or highest setting. Cover a cookie sheet with tin foil. 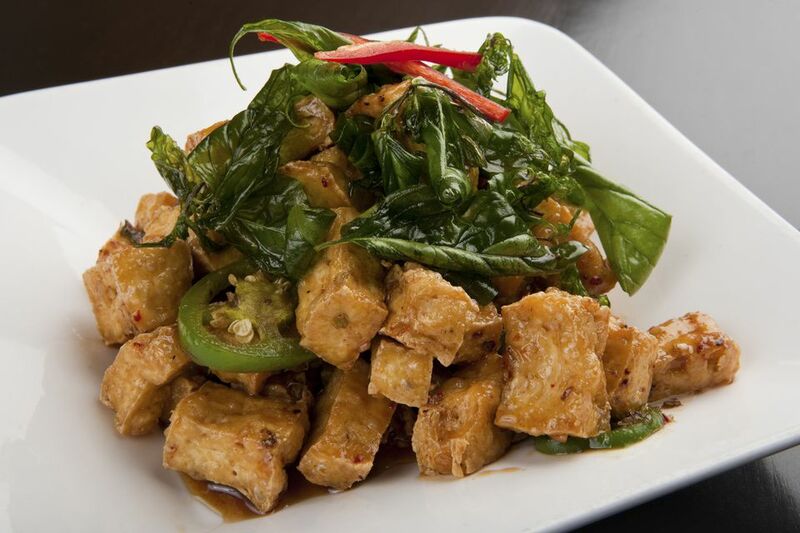 Combine all ingredients except tofu and oil using blender or mixer. Slowly add oil and mix until smooth and creamy. Pour mixture into wide bowl or pan. Cut tofu into 1/2 inch thick pieces and dip into miso mixture until coated with a thin layer, reserving some of the mixture. Gently lay tofu pieces on covered cookie sheet. Broil 8 to 10 minutes until golden brown and slightly crisp. Remove from oven. Turn the pieces over and "baste" another layer of miso mixture over the pieces with a spoon. Broil 8 to 10 more minutes until browned and crisp. Sprinkle with sesame seeds if desired and enjoy!